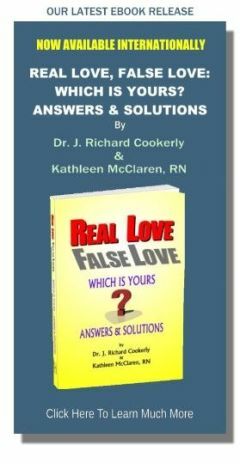 Synopsis: This mini-love-lesson gives you a dozen better, and different than usual, guidelines for working to repair a wounded or damaged love relationship. 1. Have and show patience Don’t rush, push, or try to force a quick repair. Do some showing of kind, gentle love and then back off. Let mother nature have time to effect some healing and then do a little more. If you do too much, too often it probably will not be love you are demonstrating. It might be weakness, insecurity and dependence, or at least it’s likely to be seen that way. 2. Focus forward Put your attention into making things better. Focus on ‘Now’ and ‘Next’ more than on the past. Work to create new, better and more positive love-filled experiences more than rehashing, analyzing or endlessly bemoaning the past. Some mentioning of past, positive experiences and learning from the past are useful so long as it doesn’t get in the way of focusing forward toward making new, better and more love-filled things happen. 3. Have and show empathetic compassion It is important that you show empathetic compassion much more than trying to communicate explanations, defensiveness, logic, analysis or reasoning. None of those are likely to convey much love. Especially defensiveness and explanations usually just result in making things worse because people see everything so differently, and they frequently are interpreted as making excuses and attacking with blame. They may have a place but usually only after a show of sufficient and repeated empathetic compassion (empathy = to feel another’s feeling; Compassion = to genuinely care). 4. ‘Own’ your share of the actions needed for cure and healing If you ‘own’ the desire for it to get better, you ‘own’ the responsibility (Response + Ability) to take actions to make it better. This usually includes owning-up to your share of causing the problem. Avoid blaming yourself or others, judgmentalism, denial and dodging the hurtful truths involved. Never conclude that just one person caused all the problems or one person can effect all the cure. 5. Work toward ‘I win, you win’ joint victories Concentrate on ‘we’ and ‘us’ more than ‘I and you’ so as to build toward connection, acting as a team, cooperation, collaboration, bonding and unity. Remember that in a ‘one person wins and one loses’ encounter, their relationship loses. It is only in ‘I win and you win’ situations that the relationship wins and the problems lose. 6. Work to do, say and hear all things through and with love Remember it is all about a LOVE relationship, so aim to do it all with love. Well shown, healthy, real love is extremely healing. All things can be said with love. All messages, even the worst ones, can be heard with heart-centered love. Without love actions, love-filled communications, and love-based understandings, all else is likely to be ineffectual or worse. 7. Love assertively, not aggressively or passively Act to freely offer your love, not force it on anyone. While doing this, remember to assertively love yourself as you love another. With love assert your ideas, feelings, wants, understandings, hopes and everything important to you. Non-action and surrendering can be seen as indifference or a lack of strong vigorous love. 8. Practice affirmational love especially Affirm clearly and often, the high value and worth of your loved one, yourself and your love relationship. Minimize or avoid all that might dis-affirm such as criticism, demeaning remarks, blame, condemnation, put-downs, character attacks and devaluing statements about your loved one, yourself and your relationship. 9. Relate from self respecting strength Don’t act desperate, beg, grovel, play victim or helpless. Those may get you some pity but not love. Show you have the strength to admit and own-up to your failings and shortcomings, but not as an inadequate, infantile weakling. That garners no respect and without respect adult-to-adult love fails. 10. Deal from clear requests, not expectations Remember the ancient adage “expect nothing, want everything and say what you want”. Misinterpretation, misunderstanding, malfunctioning and disappointment are the common results of operating from expectations which usually go unsaid, poorly related and not mutually or sufficiently comprehended. 11. Learn about love Then practice what you learn. Yes, love is magical, mysterious and complicated. That is all the more reason to study it. Study what it is, how to give it, and how to get it. Study what it is not, what it is confused with, and study the many tragic mistakes people make about it when they don’t sufficiently understand it. Study the false forms of love and how to avoid them. Study what the ancient wisdom masters taught and what modern science is discovering about love. There is a great wealth of available, practical knowledge about love all of us can put to good use. There is also a great deal of useless and destructive trash to sort through. The more you know and practice the skills of love, the more likely you will succeed. 12. 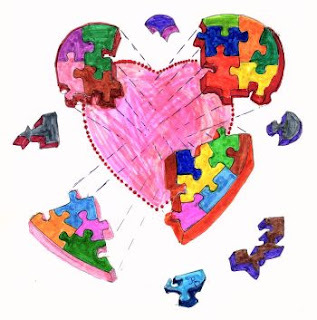 Get help Preferably together, but if not together then by yourself search for and go to love-knowledgeable helpers. There are counselors, therapists, personal and relational coaches, clerics of many faiths, teachers, mentors, sponsors and those who just love well who can help guide you as you work to repair a wounded love relationship. Use them. The many mini-love-lessons found at this site exist to assist you with # 11. In particular, those mini-love-lessons found in the Subject Index under Pain and Problems may be of special help. Also let us suggest that if you know of others suffering with a love relationship problem, you might refer them to this free, informative site. What do you read concerning love? And by whom? It seems like most of the people who seriously start to learn about love, do so after a big love failure or a very painful love relationship experience. Most of them turn to self help, relationship books, some of which are wonderful and some terrible, and many useless. Readings in religion, psychology, anthropology, philosophy, the brain sciences and many related fields also are usual places where people start their search into “loveology”. For those who want to go deeper and broader, there is Aristotle, the apostle Paul, Rumi, Montague, Fromm, Kierkegaard, Brandon, Hooks, Reik, Harlow, Siegel, Fisher, Chapman and a host of other authors from a wide variety of fields and backgrounds. They all can be profoundly instructive for the serious student of love and how to succeed at it. Seek and you shall find!